hey there – it's tori! Headscarf – fashion statement or religion? The headscarf, sign of oppression, freedom, political power, fashion statement. What exactly is it? The discussion about the “piece of cloth” is not coming to an end. Self-proclaimed psychologists see in it a sign of the oppression of women, a most serious topic. We have to ban headscarves, prohibitions and coercion against (alleged?!) suppression! HoweverFashion labels like Gucci, Dolce & Gabbana and Versace see it as a fashion statement. Avant-garde or maybe back to the roots? After all, many of our grandmothers have been wearing a headscarves. headscarf – fashion statement or religious oppression? The Riviera Look by Audrey Hepburn, wearing a headscarf and sunglasses, was legendary. 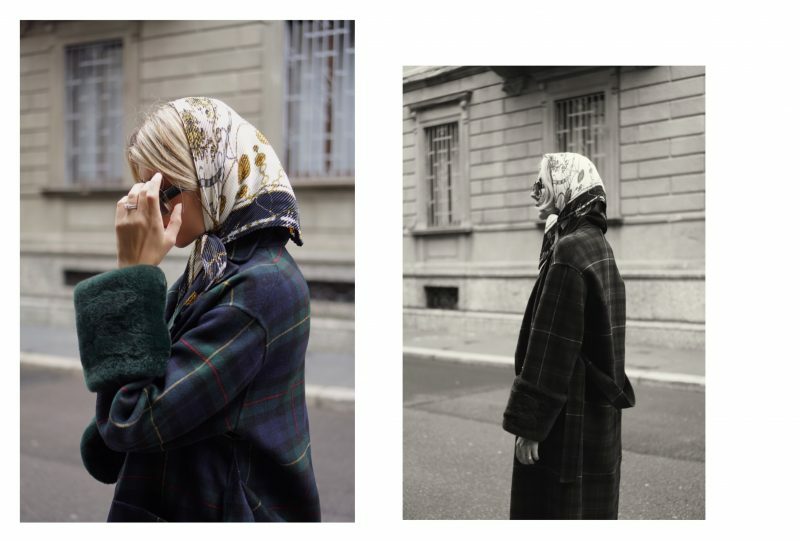 Bloggers like Caro Daur, Camille Charriere and Linda Tol are wearing headscarves again in 2018. On the catwalks of Gucci and Co., and even on the cover of Vogue models were seen with headscarves. So what if not every piece of fabric has a message of oppression and coercion, but maybe something as a fashion statement? Maybe it’s just a little bit of the urge to provoke, especially in times when covering causes more sensation than bare skin. Maybe the headscarf’s entry into the fashion world will help us relax a bit and stop condemning and commenting on everything we don’t know and understand? And by the way, there is only one person able to say what’s exactly under each headscarf – the one wearing it!